Container size: 14 feet x 7 feet x 4 feet. Price includes: 4000 lbs, 10 day rental. We help determine the roll off dumpster size and provide it to you at an affordable price. We work side by side with local contractors and we organize the delivery, pick up, and disposal of your trash. We guide you in the right direction to find all the regulations and licenses required by your local government and we make sure you stay within the legal boundaries during every phase of your trash removal process. We offer individual solutions for both household and commercial needs including construction dumpsters. We offer national coverage which means we can help you rent a dumpster anywhere in the United States. We screen providers for reliability and accountability and make sure that you receive the best service for your investment. 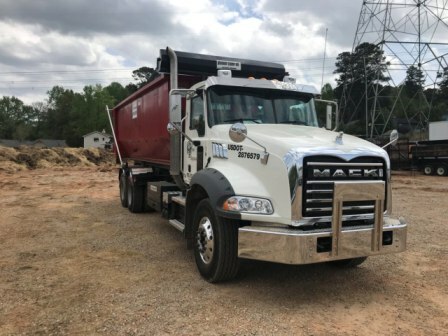 Whether you are choosing a Roll off Dumpster for bulk trash removal, spring cleanup, moving in or out, construction debris, reconstruction projects, household junk, or just to get rid of a lot of trash that suddenly appeared at your disposal, we have every tool necessary to accommodate your needs. Here at Vine Disposal we set the standard for dumpster rental. Our organization is made upon our commitment to customer contentment, and We strongly believe that superior customer service is the key to success in business. Ask around, we have been in the trash dumpster rental business for a long time and we will get you the very best dumpster service in your area - it’s our guarantee.